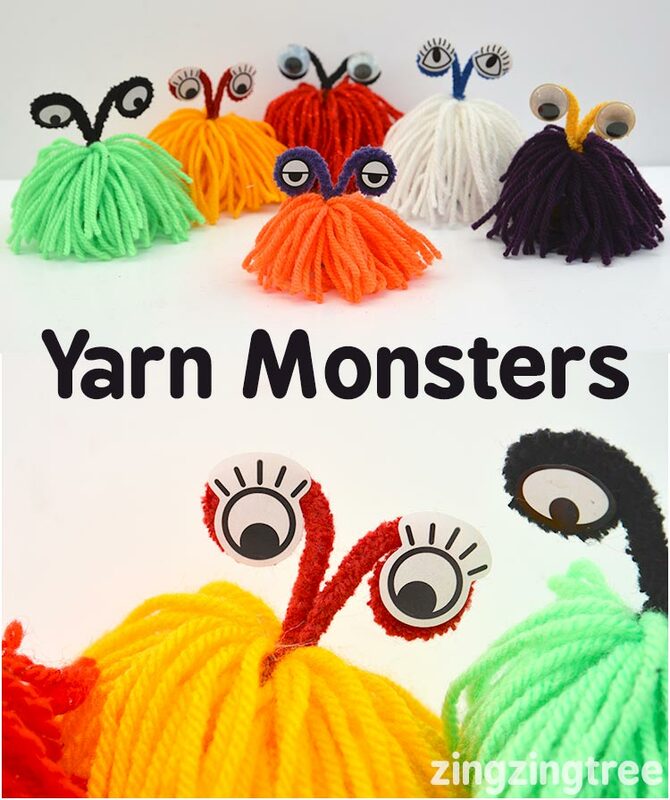 These Yarn Monsters were an utter delight to make and I have laughed all the way through writing this blog post at the photographs I have been editing. This is such an enjoyable craft from start to finish and my girls just adore playing with these little critters, plus they look really cool dotted around the house. 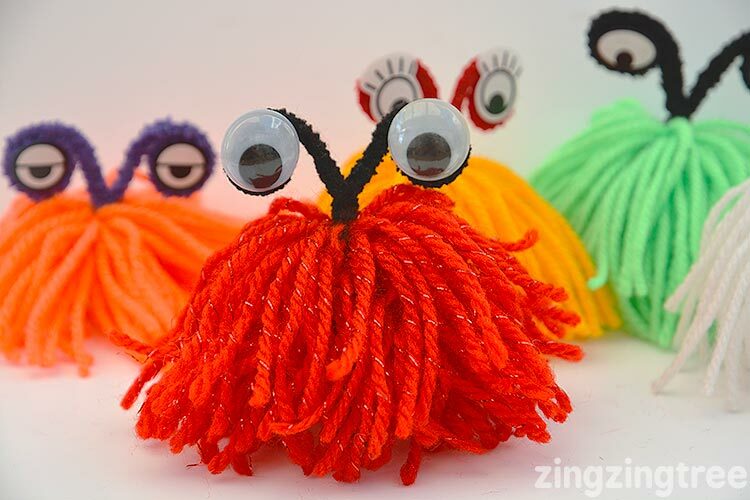 You may also like this cool roundup I did of Monsters Made From Yarn, these cool Fuggler Monsters, my other Yarn Crafts and of course I have a heap of Halloween crafts. Watch the video at the end for more detailed instructions (coming later). 1. 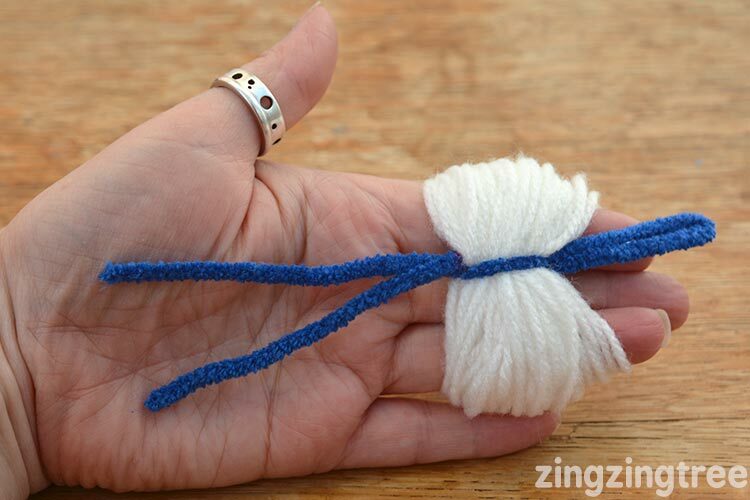 Bend your pipe cleaner in half and then twist it about 1/3 of the way down, just shy of the three finger width (adult hand) that you will wrap the yarn around. If a child is doing this depending on the size of their hand you will need to wrap the hand around four or five fingers. 2. 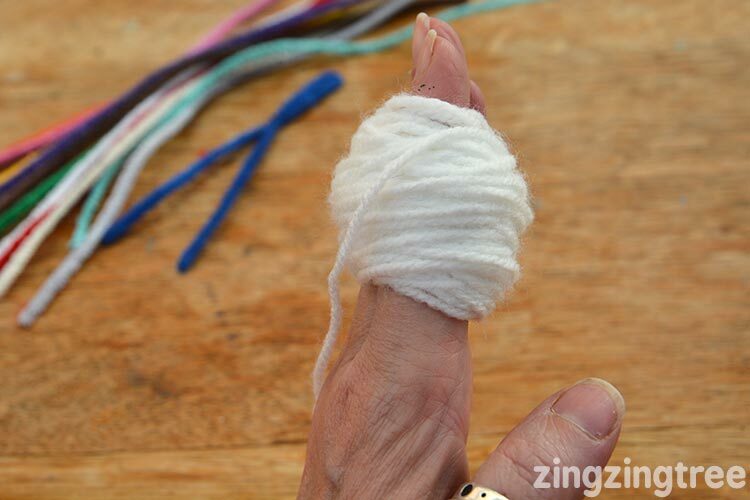 Wrap your yarn around your fingers so you get a nice thick wodge of yarn. Thick is best for this so ‘over doing’ is better than ‘under doing’ this stage. 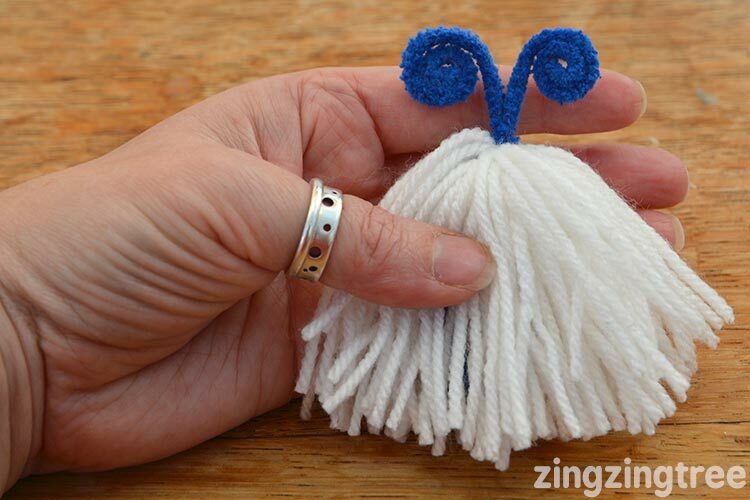 3. carefully slide one of the pipe cleaner legs through the wodge of yarn and twist tightly to secure. 4. Carefully snip through the loops of yarn trying to keep the lengths even. 5. 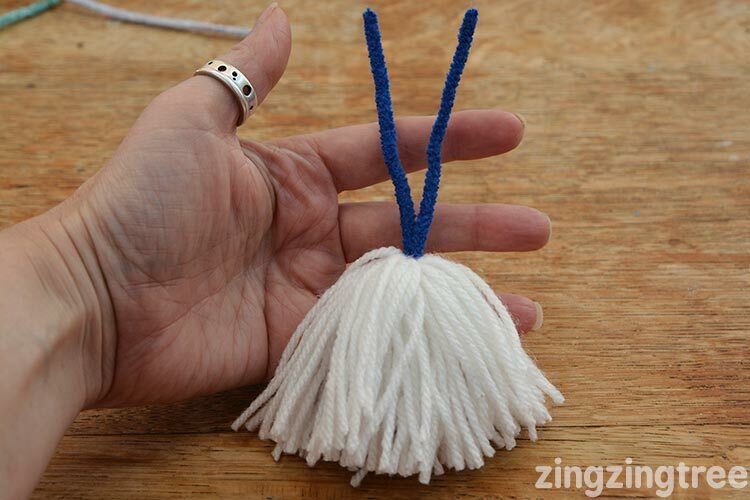 Gently pull the yarn strands down to cover the ;hoped part of the pipe cleaner and trim any irregular bits off. 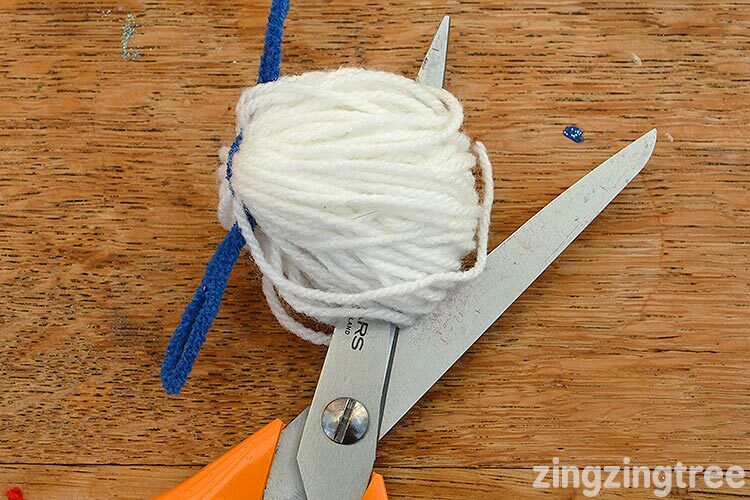 Create a little for with the pipe cleaner that will help your Yarn Monster stand up. 6. 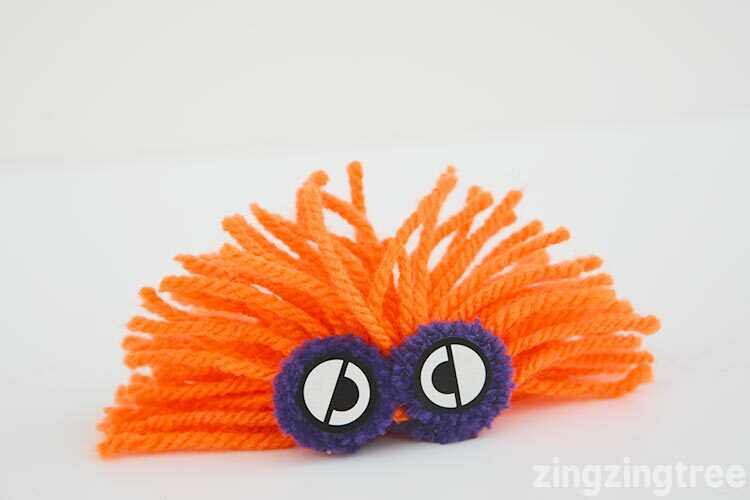 Curl each of the remaining pipe cleaner strands to create flat tight circles. Oh, these are super cute! It looks similar to making a pom pom but I just love the way these come out! I laughed at you laughing whilst writing this post! 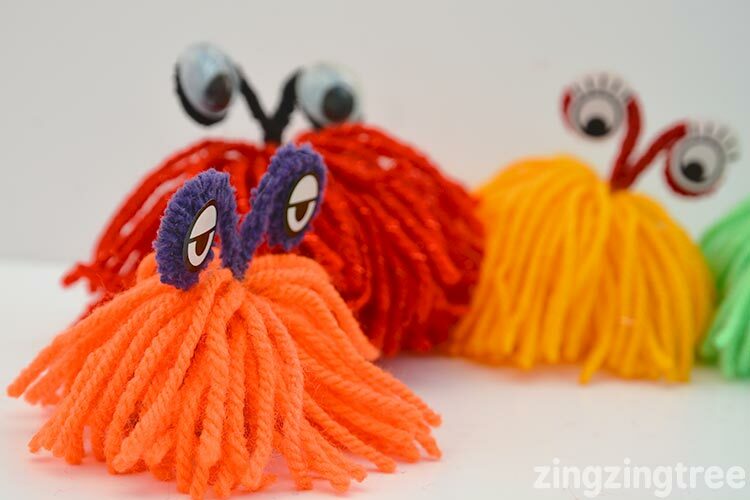 They are very cute and remind me of something from my childhood… Do they remind you of Dougal from The Magic Roundabout?!! These look brilliant! I might have to surprise the boys with a set of them one day as I know they would entertain them for hours! 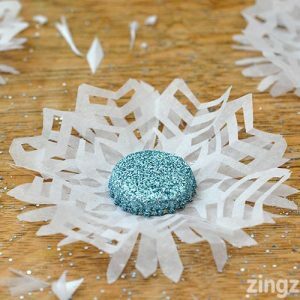 This look so much fun and they are really easy to make too. I’ve got a bit of a wool stash at the moment and I think my son would like these. I think my cats would like these to play with! 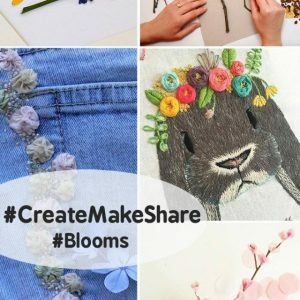 What a cute little craft and super easy! Oh these are ace! POD would love some yarn monsters and she’s big enough now to be let loose with the scissors. Actually maybe not but she’d love to make them though! I ADORE these! very clever and SUPER cute! I’m an OT and thought this may be fun to do for quiet hand fidgets. Oh my word……..these are adorable. 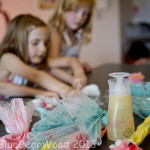 My grandaughter is going to love making some of these when she comes to stay at the weekend. 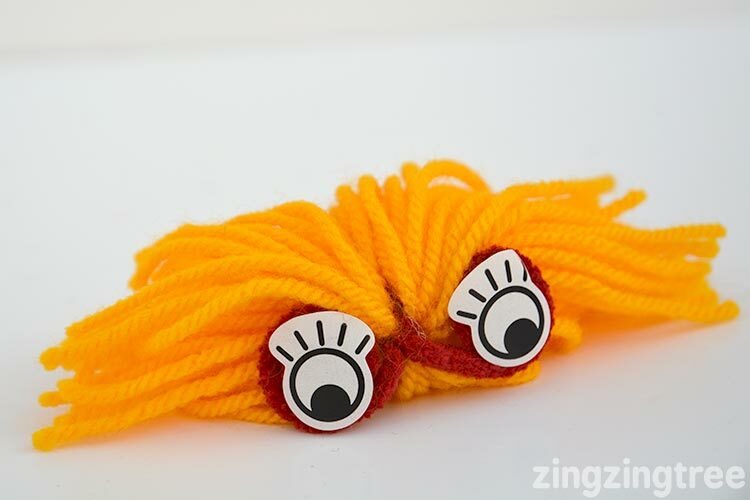 These were fun to make and very cute, but I may have made a wrong turn somewhere; shortly after making them with my 3 year old son, I was finding pieces of yarn trailing behind him from playing too rough with the monsters or pulling some pieces through. How many monsters can I expect to get out of one pound yarn? Do you happen to have a template for the cute eyes? They give so much personality to your monsters. 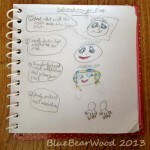 My kids aren’t that creative or quiet about it “not being right” when they make something. I don’t want to end up doing it for them. Printing them out sometimes is much simpler & practices scissor skills and maybe tracing skills too! Never mind. I found the stickers.